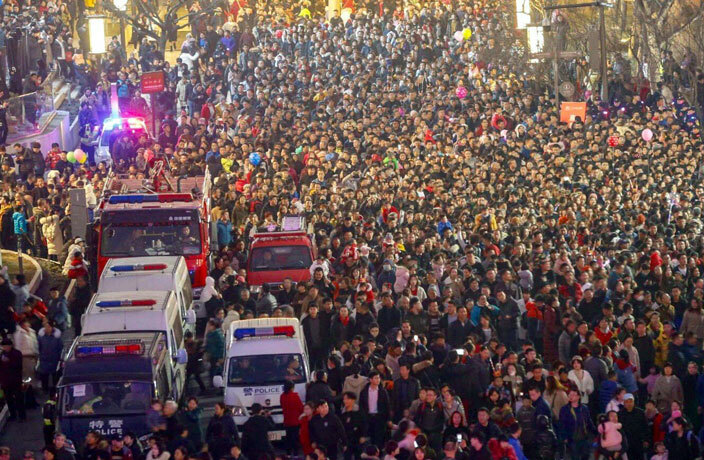 There are some places that you simply want to avoid at all costs during the Lunar New Year in China, i.e. : the Great Wall, Zhangjiajie, the Mausoleum of the First Qin Emperor, West Lake and so on and so forth. But yet, every year tens of thousands of people flock to these tourist destinations as if this year it will be different. Below, we’ve compiled another round of shocking photos from another year of CNY tourism mania. While all of these images were posted in recent days, That’s would like to stress that we cannot independently verify when each photo was captured. The incident happened in the prefecture-level city of Heyuan, in Guangdong province​.